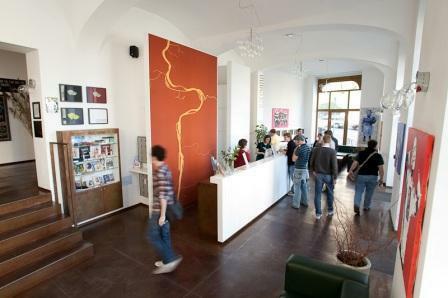 I was staying in one hostel here in Prague for about $8/night and really liked it – Art Hole Hostel. I was unable to find a couchsurfer in time so I needed to extend my stay a few days into the weekend but they were fully booked, so I booked three nights at Czech Inn, which didn’t have a kitchen and was in a non-ideal location, but worked for a few days and was pretty cheap. This time it worked out though, and got a stay on Monday night for less than 4 bucks. W00t! Tuesday through Friday I’ll be staying at Art Hole Hostel again (recommended,) and then I’m couchsurfing for three nights on the weekend. Then maybe, just maybe…I’ll leave Prague.